The conference account @DLDConference and Idealab founder @Bill_Gross still are the most important Twitter discussions nodes in terms of PageRank. 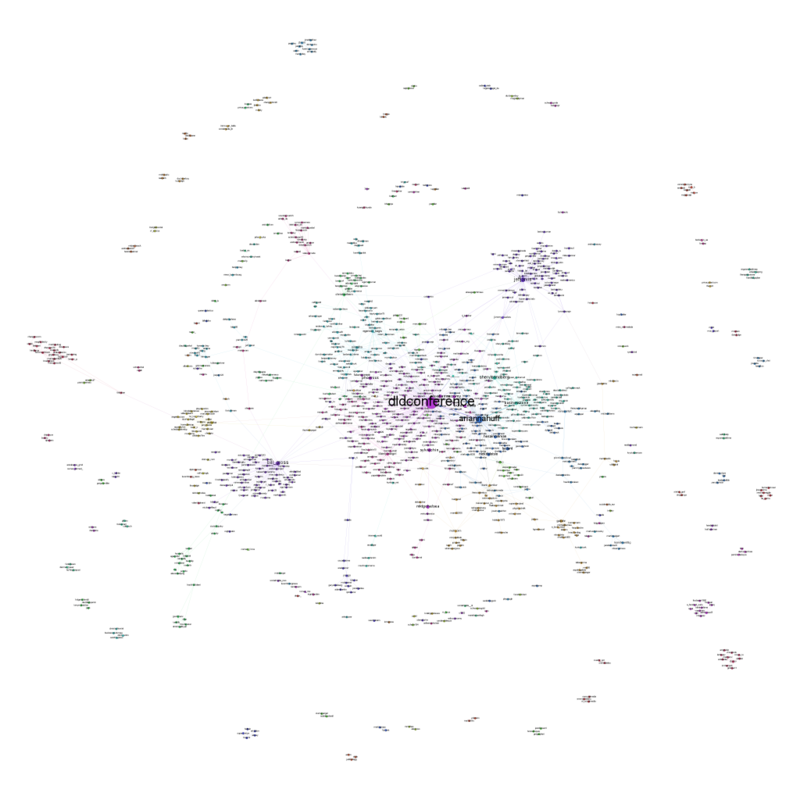 But there are also some new names and clusters in this map, for example enterpreneur Martin Varsawsky (@martinvars), the NGO @ashoka and BestBuy CTO @rstephens. On Tuesday, it looks quite different. This clearly has been Jeff Jarvis’ day. Not only did he take Bill Gross’ place but also overtook the official DLD conference account. 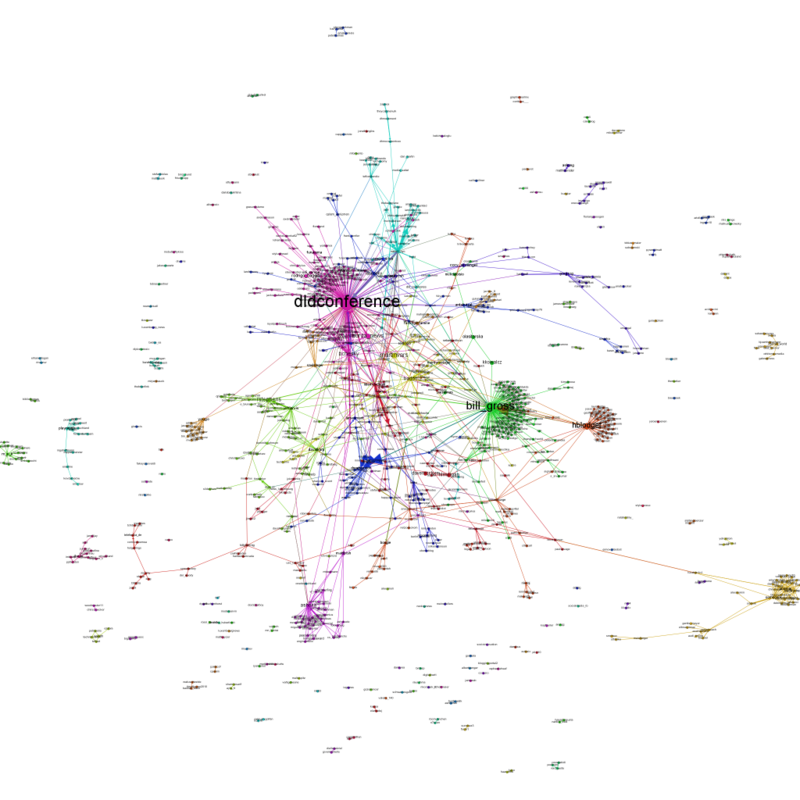 But he hasn’t been the only new influencer today: Wikipedia’s Jimmy Wales, Huffington Post’s Arianna Huffington and Facebook’s COO Sheryl Sandberg also were important nodes in the DLD Twitter conversational network. Visually spoken: The conference is starting to dissolve. And people are moving on to Davos and getting ready for the World Economic Forum there.